Begin by cleaning the mushrooms and cutting them into slices. Add the flour to a plate and pass the chicken steaks through the flour one at a time, making sure they are well coated. Then, chop the onion and the garlic and saute them in a pan with the olive oil. Add the chicken breasts and let them brown on both sides. 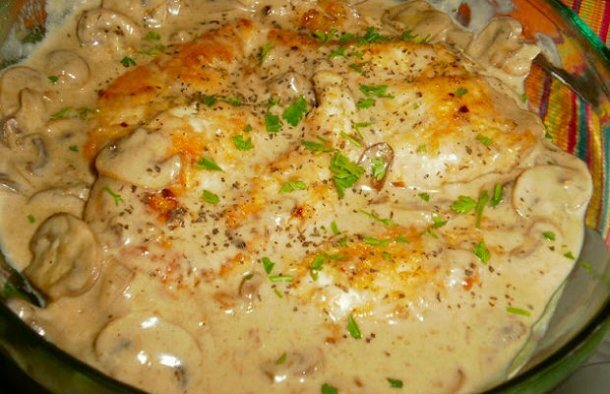 Add the mushrooms, season with salt and pepper, add the port wine and when it evaporates add 1/2 cup of the cream. Let it cook for a few more minutes, gradually incorporating the rest of the cream and stirring occasionally. Remove from the heat and sprinkle with chopped parsley. Place everything on a platter, drizzle with the remainding sauce and serve. 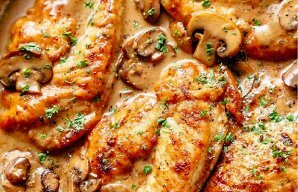 Serve this delicious Portuguese style chicken with mushrooms and port wine (frango com cogumelos e vinho do Porto) with white rice. 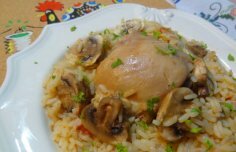 How to make Portuguese Chicken with Rice (frango com arroz). 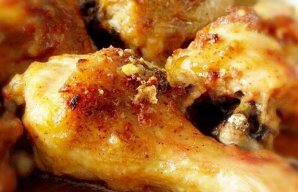 The ingredients for this Portuguese fried chicken with beer (frango frito com cerveja) recipe are fairly simple, but the end result is delicious.